One Big Yodel: Go to Switzerland Without Leaving America. Really. Go to Switzerland Without Leaving America. Really. Don't worry, The Frau is still trying to believe this is America too. Fondue. Roesti. Ticino Pizzeria. Chalets. Restaurant doors that say Eingang. Hiking paths. Someone walking a Bernese mountain dog. A shop owner from Thun. Raclette cheese store. Emmi cheeses. Edelweiss Hemds. Swiss German speakers attempting to have a Ruhezeit in a hotel pool/whirlpool area where there is no Ruhezeit. The list goes on and on. So. If you're in America and you're homesick for Switzerland, Wisconsin has a solution for that. It's called New Glarus. And when it calls itself "America's Little Switzerland," it's not kidding. There's a reason the Swiss Club of Chicago comes here at least three times a year. The place even has a race called the Alphorn Man Triathlon. The Frau will be doing this if only to get the t-shirt. Real live Swiss people came to New Glarus over 150 years ago. Some, like Esther, who runs a European import store, came 30 years ago. Swissness lives on. The other hot spot for Swissness is Monroe, Wisconsin, about 18 miles from New Glarus. This place has cheese. Real cheese. Emmi's only North American plant is here. And it has a shop onsite called Alp and Dell. This shop even sells Swiss wine. That's how Swiss it is. Why are you still reading this? Go, go, go to New Glarus and Monroe now and enjoy all the Swissness America has to offer only 4,444 miles from Switzerland (to be exact). Ahhhh the sprint tri! Let's do it together one day! I may just have to make a trip to Wisconsin. A flight there from California is MUCH more affordable than one to Zurich! I dimly recall New Glarus, having lived in Wisconsin for five years, but I don't think I visited there. We can arrange for the T-shirts and maybe even sit in on the Maenenchor or Jodelklub rehearsal on Monday nights! It may require drinking New Glarus beer at Tofflers afterwards! My mother and I were staying in Wimmis and the waitress found that we lived near New Glarus and on our second night there she produced a picture album from 30 years previous with pictures from New Glarus, she said it was the mecca of their 5 week visit to the United States! That's really interesting...I thought you are kidding. 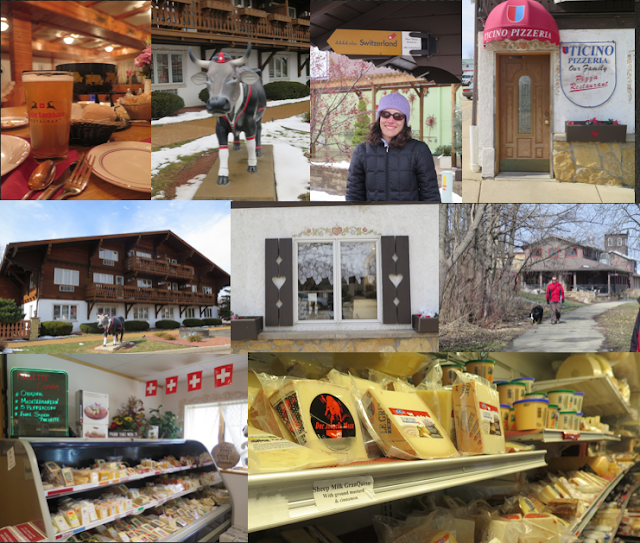 New Glarus- America's little Switzerland. Writer's team from thesis writing service is planning to visit New Glarus and enjoy all the Swissness America. Your site has put a lot of interesting Nike Air Footscape Magista boots this url ! thank you for sharing! Thank you for sharing the post. This Nike Zoom Winflo 3 Herre Sko view url is what I need to find. Such a very useful article. Very interesting to read this article.click my over site now I would like to thank you for the 2016 Nike Internationalist Donna http://www.scarpedesport.com/nike-internationalist-c-1_63.html you had made for writing this awesome article. I needed to thank you for this extraordinary read!! I unquestionably appreciating each and every piece of Adidas Alphabounce Engineered shoes www.fanaticrunningwear.com/alphabounce-em-c-2_9.html I have you bookmarked to look at new stuff you post. I just couldn’t leave your Zapatillas Adidas Pure Boost Raw en venta zapatosports.com/pure-boost-raw-c-1_22.html before telling you that I truly enjoyed the top quality info you present to your visitors? You know your projects stand out of the herd. There Under Armour Threadborne Slingflex Uomini Scarpe Blu / Marina / Rosso www.lescarpecorsa.com/threadborne-slingflex-c-228_237.html is something special about them. It seems to me all of them are really brilliant! This is such a great resource that you are providing Adidas Originals ZX 700 Unisex Sko Militærgrøn / Sort http://www.lobeskobutik.com/zx-700-c-1_48.html and you give it away for free. I love seeing blog that understand the value of providing a quality resource for free. Thank you for updating! Glad to find the news!